I have been loving hair conditioners, masks and deep treatments lately a lot more. Mainly because I cowash my hair a lot and use a deep conditioner or mask at least once a week to add moisture to my hair. 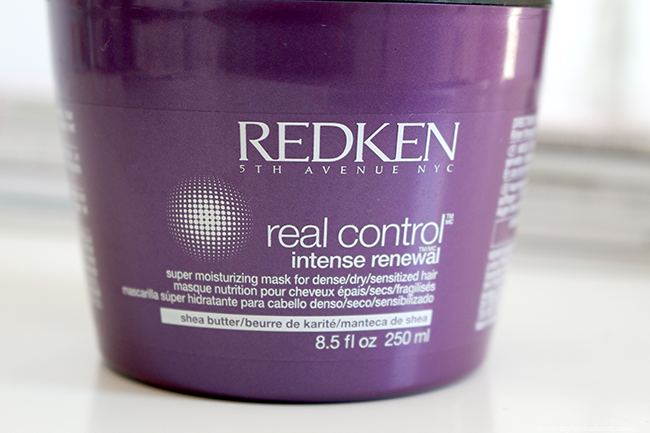 Recently, I got to try out the Redken Real Control Intense Renewal* hair mask which I was sent from Hairtrade. I was excited to try this as all the products I have tried from Hairtrade have worked really well for me. 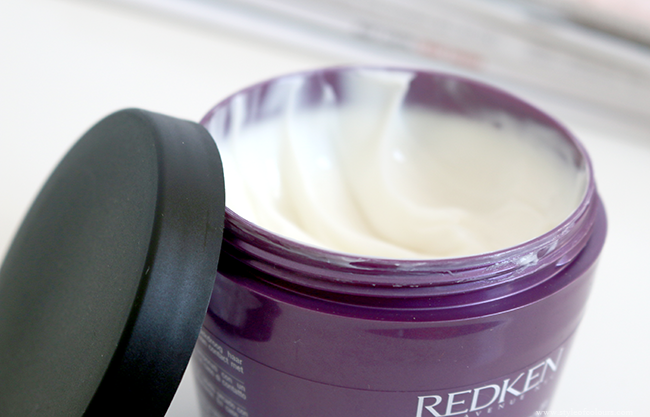 The Redken Intense Renewal hair mask is a thick white cream which comes in a jar of 250ml. Packaging wise, it looks like most deep conditioners or hair masks I've tried. It is said to be a super moisturizing mask for dense/ dry/ sensitized hair. I've used this mask a few times and really love the way my hair feels. The instructions say to apply it to your hair and leave it on for 5-15 minutes, and then rinse it out. Whether I use it as a quick conditioner or as a deep conditioner, it makes my hair very soft afterwards. One thing I usually look for in a conditioner is slip, because I always comb out my hair in the shower while my conditioner is on as I think I pull my hair less and my hair tangles less when I do it this way. I was extremely happy when I tried this mask and it gave me the slip I needed in order to comb out my hair. All in all, I look forward to using this mask more and I'd say it is a great mask if you have very dry hair because it does feel like it adds moisture to your hair and makes your hair softer and more manageable. Likes - moisturizes hair leaving it soft. 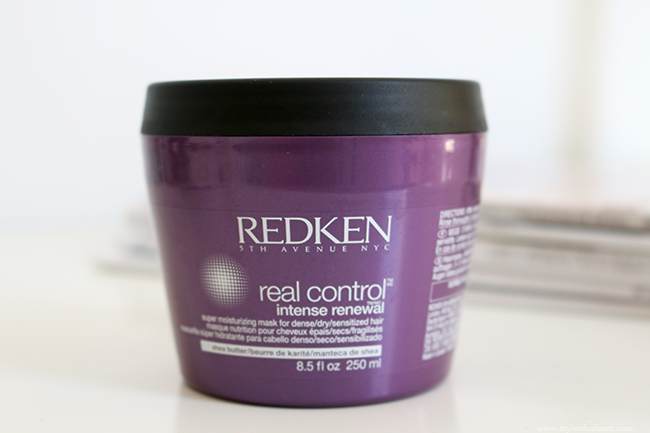 Have you tried this hair mask or another one from Redken? What's you favourite hair mask?